What Do Donna Fitts' Clients Say About Her Service? You may not know Donna Fitts yet... but these people do! Donna is a Superstar! Dale B. My husband and I visited various areas in different states looking for the best location for our retirement home. We dealt with several different Realtors over an 18 month period, with the last 9 months being spent working with Donna. We both feel BLESSED that we found Donna when we began looking in the Foley, Alabama area. Donna is extremely knowledgeable and helpful. She was friendly while remaining professional. She guided us and advised us and was there at every step of our journey. She made herself available, promptly responded to any phone calls, texts or emails and checked in with us from time to time to be sure she was updated on where we were in our decisions. We knew Donna worked with people who bought and sold homes in a much higher price range than we were planning to spend...yet, she treated us with every bit as much respect and attention as someone spending 10 times our budget. I couldn't imagine anyone doing a better job than Donna Fitts. Only a month after moving into our new home in Foley, we are already utilizing her in another real estate deal and have recommended her to neighbors who are looking to sell their home. If you need a realtor and are searching in an area that Donna works is.....do yourself a favor and contact her. It will be the best decision you will make in your journey to buy or sell real estate. Loretta S.
I received a post card from Donna Fitts in March of 2014. At that time, my daughter was starting to get interested in buying her own home. I contacted Donna and was very impressed with her knowledge and professionalism. I explained what we were looking for and she immediately began searching for the perfect house. Within two months we had found the house and closed on the purchase. Since 2014, our son, my sister, my son's sister in law, three of my daughter's friends, and a close friend of mine have purchased houses, sold houses or both with Donna. Donna Fitts is the most professional REALTOR I have ever met. When we call/text, she immediately responds. If she does not know the answer, she finds the answer and gets back with us. It is quite evident that Donna's clients come first. Donna Fitts is hones, sincere, hardworking and the best in the business. Debbie M.
My daughter hired Donna Fitts to help her and her fiance buy a house and sell their separate houses. After that experience, my daughter told us that Donna was great to work with and we should use no one but her! We found everything my daughter said to be true. Donna listened and took into account what we were looking for and was very easy to work with. We were moving to the area from out of state and she help us find our home within our limited time constraints. Donna constantly checked back with us to make sure all was okay and was our liaison between us and the builder. I definitely recommend Donna Fitts to any one selling or buying a house or condo. Stephanie S.
You have been a pleasure to work with. You were on top of things and knew what you were doing. I deal with realtors all day and have for 24 years..... It’s a pleasure to work with a professional who takes care of business. Rick D.
Donna exceeded expectations in every area. Especially how she made us feel as valued as her million dollar clients even though our price point was much less. Ricky S.
Donna was wonderful, she called us constantly during our working with her on a long distance basis and she always answered her phone when we reached out to her. Donna went beyond the "normal" real estate services and we appreciated her professionalism and friendliness very much. Gary and Brenda S.
Donna sold us our first beach house ... she has handled many transactions for us since! We like working with Donna because we can always TRUST her! Joe H.
This is the second time Donna has sold a property for us in the last 3 years. She has a wonderful marketing plan that gets your home exposed to all avenues of potential buyers and sold. Donna always goes above and beyond. She was a great negotiator with this last sale and we couldn't have done it without her. Sometimes selling a house can be frustrating but through it all Donna was encouraging and always positive. Allyson and Brian B.
Donna is our "family" REALTOR! She helped my parents sell their house, so when we wanted to buy in the area there was no question who we would hire to represent us! Donna felt like family and she never made us feel like "just a customer". Michael and Mindy H.
We have worked with Donna on several previous sales and purchases. She is easy to relate to and communicate with... that is why we like working with Donna. Joyce H.
Our home had been on the market for a while when we hired Donna. After a short period of time listed with Donna, our home was sold & she helped us find a great, new home! Donna was caring & worked hard to get our house sold. Her marketing techniques are second to none! You will not be disappointed when you choose Donna Fitts! Rebecca & Pat D.
I can't tell you enough good things about Donna. She helped us buy and sell. Our house sold within a week. When it came to buying she was patient, knowledgeable, easy to reach, and so helpful. She helped us with every step of the way from financing and closing to the home inspection. My husband and I are picky buyers, but she never rushed us and when above and beyond to help us find the right home. Hope we don't have to move any time soon, but if we did, I would be contacting her again for sure!" Brandon and Kristin J. Thank you for being the most amazing agent to work with when we sold our house several years ago and this year during our search for our Homewood home! Ann B.
Donna was outstanding and she really made a difference. She helped me stage my house and her marketing was GREAT! I worked with a different agent a few years ago and was very unhappy. Donna knew what needed to be done to sell my house. Her overall approach to selling my house was outstanding. Yolaine C.
Ray and I want to thank you very much on finding our new home. We Love it. YOU made this all possible, we love you. Ray and Judy B.
Donna was always cheerful and polite. She got our house sold the day it went on the market! Julian Q.
I have been trying for months to find words to express my gratitude for all you have done to help us. From selling our house, helping us find our new home to assisting with home warranty issues. You've been honest, professional, available and knowledgeable. Our lives have been transformed and you are a large part of it. May God bless you and your family. Karen and Tim P.
Donna had nice friendly manners and found the answers to all our questions. Lloyd A. All I can say is Donna is Very Good! Enthusiastic, honest, easy to contact, handles problems, easy to work with, professional... Mychal H.
Donna was the listing agent of the house we wanted to buy. The property was being sold as a short sale. Donna was good at explaining the "reality of the situation". We appreciated her honesty. She was enthusiastic and helpful ... now we live in our dream home. Stephanie G.
Donna did an excellent job. My sister happened to see her name on a real estate sign in the neighborhood. When we met with Donna we found her to be warm, professional and very knowledgeable. She also appeared to be very confident that our house would be SOLD and it sold the first day on the market. Thanks so much Donna!!! Jerry Q. Best experience working with a REALTOR yet! Spot on with pricing. Marketing was great! Then when we were buying ...she was patient and always available. We selected Donna because of her success and character. The things that stand out the most are her patience, honesty, knowledge, determination, organization and her over all approach. Josh B.
I would highly recommend Donna Fitts as your next realtor! My husband found Donna on the internet! Donna was literally hands on from the start when she brought her own blower to our house to get it ready to show! Donna was very professional, positive and motivated! She listened to our concerns and frustrations and made us feel comfortable with her suggestions. We had an offer about 1 week after she listed the house (it had been on the market for 6 months with another agent w/ NO offers). 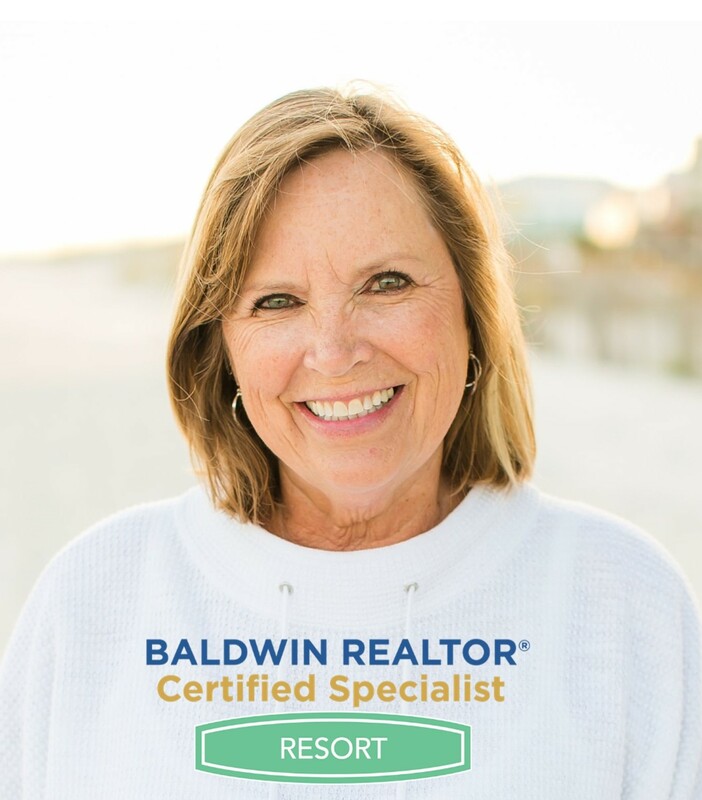 We have worked with many realtors over the last 8 years, and she was by far the best, most available, positive and hands on realtor we have used! Page B.
Donna did a great job telling us what we needed to do to get a quick sale on our house. She found a buyer within days and got the amount of money we needed in a slow market. She was very professional and a great negotiator. Juanita R.
Donna was excellent. She was always easy to reach and took time to make sure our questions were answered and we understood the process. Her personality and industry knowledge gave us peace with the process. Unfortunately, we found Donna AFTER a poor experience. We were thrilled with her results... once Donna listed our house, things moved quickly and very smooth. Donna got our house -- SOLD! Jon T.
Donna did a wonderful job helping us sell our house. We were always able to contact her when needed and she went out of her way to make sure we sold our home. Several unexpected problems came up with our home during contract and Donna acted quickly and handled everything. We will always remember how wonderful Donna treated us. She is a great realtor. Bill M.
Donna was recommended to me by a friend whose house she marketed and sold. She had my house under contract in less than 2 weeks of putting it on the market. Donna was easy to contact and quick to respond to my questions/concerns. Mary Ann H.
The video was GREAT! We had a contract within a couple of weeks of being on the market. Martha S.
We give Donna a 20 on a scale of 1-10. She is genuine. She helped to make a complex process very simple. Mike & Beverly H.
Thank you! This is more than the previous real estate agent ever offered me--short and concise. Amy F.
We contacted Donna because we were not happy with our real estate agent and needed a change. We loved Donna’s enthusiasm, professionalism and honesty. Jeff & Kathy K.
Donna was enthusiastic and helpful. The best thing about Donna was her HONESTY! Stephanie & Lee G.
Thanks for all your help. We are very pleased with your services and both agree that you give great advice which we are both in need of! Shaffer & Lindsey H.
Donna is a real "go getter". Any seller or buyer who chooses to work with her will be very grateful. She is a hard worker. Sandy M.
Donna is one of the hardest workers I know. That is one of the keys to her success! Leigh M.
Donna is very ethical, hard working and I would recommend her to anyone wanting to buy or sell. You won't be disappointed. Claudette G.
Donna Fitts did a GREAT job! We were satisfied with the service provided overall! James and Edith W.
My experience with Donna Fitts was the best I have ever had while selling a property. I have worked with her before and continue to work with her because she is very kind, considerate, knowledgeble and pays great attention to details. Donna worked hard to get my propety sold. Janice M.
You guys ROCK! Thanks so much. We have had 4 other agents... now we have the BEST! Donna knows what she is doing and I did not have to do a thing! She was great at keeping in touch with us while our house was listed. Carol A.
I have referred several friends to Donna and I will continue to do so! Dan H.
Donna Fitts did a great job with our contract and working through the financing. She was full of correct information. The thing that stands out the most to us is the deal we got. Bobby K.
We have worked with Donna Fitts for the past 6 years. Because of our positive experience she will be our realtor from now on. She worked the deal from the start through closing. Donna is friendly, professional and competent. Howard & Marilyn M.
I was satisfied with service provided overall! Steven P.
I feel like we've gone from "famine" to "feast" in terms of service!!" Thank you! Carol A.